What will your children get from us? Music is a wonderfully fulfilling leisure activity in its own right. But music instruction influences the development of children in many other ways. By practising a musical instrument children are fine tuning their motor skills; the playing of wind instruments helps to develop correct breathing techniques; and the children are also effectively enhancing their memory. What's more, regular home practice helps them to develop positive work habits. They learn to deal with obstacles, to put up with minor failures and, on the other hand, to value their own achievements, as well as the success of their peers. Through group activities such as playing in the orchestra or in the chamber ensemble the children acquire important social skills in a team environment that will motivate them to work together to achieve the best possible results. We also offer courses for adults and encourage the parents of children to participate in musical activities at the school. All our pupils have the option of taking the internationally recognized ABRSM exams. ABRSM stands for Association of British Royal Schools of Music and its exam board sets the standards in musical education worldwide. Further information can be found on their home page www.abrsm.org. 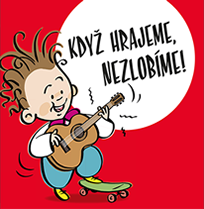 Vážení rodiče, vážení žáci, vítáme vás v novém školním roce. Horké prázdniny skončily a nás čeká podnětná tvůrčí práce, na kterou se už jistě všichni těšíme. Chystáme hodně nových projektů a zajímavých akcí. Vám žáčkům přejeme hodně sil a úspěchů při náročném studiu. Rodičům pak hodně trpělivosti a zájmu při snažení svých skvělých ratolestí. 15. září 2015 vystoupí žákyně pěveckého oddělení ze třídy p. uč. Tatiany Pituchové na vernisáži malířů sdružených pod názvem "Pondělní skupina" ve vítkovickém Domu u Šraněk. Začátek výstavy je v 18.30 hod.